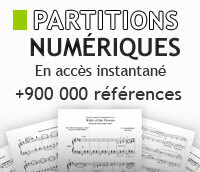 Retrouvez toutes les musiques des films "Harry Potter" pour piano solo. Musiques par John Williams, Patrick Doyle, Nicholas Hooper et Alexandre Desplat. By John Williams. Arranged by Paul Cook. Music by John Williams / arr. Paul Cook. For Concert Band. Concert Band. Pop Beginning Band. Movie. Conductor Score and Parts. Duration 2:49. Published by Alfred Publishing. By John Williams. Arranged by Paul Cook. Music by John Williams / arr. Paul Cook. Concert Band. Pop Beginning Band. Level: grade I. Conductor Score. Published by Alfred Publishing. By John Williams. Arranged by Teena Chinn. For Opt. Chamber Orchestra. (3-Part Mixed). Choral Octavo. Pop Choral Series. Pop. Level: Moderate (grade III). Choral Octavo. 12 pages. Published by Alfred Publishing. By John Williams. Arranged by Teena Chinn. For Opt. Chamber Orchestra. (2-Part (Opt. 3-Part)). Choral Octavo. Pop Choral Series. Pop. Level: Moderate (grade III). Choral Octavo. 12 pages. Published by Alfred Publishing. By John Williams. For Clarinet (w. Piano Acc.). Instrumental Series. Level: Level 2-3. Book & CD. 24 pages. Published by Alfred Publishing. By John Williams. For Tenor Sax (w. Piano Acc.). Instrumental Series. Level: Level 2-3. Book & CD. 24 pages. Published by Alfred Publishing. By John Williams. Edited by Gail Lew. Arranged by Gail Lew. Piano method/supplement (Big Note Piano: large, simple, easy-to-read melodies). Level: late elementary, level two. 40 pages. Published by Belwin. Edited by Carol Cuelllar, composed by John Williams. Set of performance parts and accompaniment CD for violin and piano accompaniment. Series: Instrumental collection (vn/pa cd). 24 pages. Published by Alfred Publishing. By John Williams. John Williams Signature Orch. Size 11.7x14 inches. Published by Hal Leonard. By John Williams. Arranged by Michael Story. By John Williams / arr. Michael Story. Full Orchestra. Pop Intermediate Full/String Orchestra. Level: grade II-II 1/2. Conductor Score. Published by Alfred Publishing. Composed by John Williams. Arranged by Dan Coates. Piano Solo - Popular Sheet; Solo. Movie. Sheet. 10 pages. Published by Alfred Music (AP.EPM04004).